Environmental drilling occurs in many different types of geologic settings and the project objectives are often very diverse. The drilling methods differ depending on a number of factors, such as the kind of project, the soil at the site, and whether water sampling is involved. Two common forms of drilling are solid stem auger and hollow stem auger. Each has its own uses, advantages, and disadvantages. What Is Solid Stem Auger Drilling? This method typically utilizes a Claw Bit to advance solid stem auger flights into the ground. The drilling equipment applies pressure against the top of the stem while turning it into the ground. The Claw Bit displaces the soil and moves it up the flights as the drill bores deeper in the subsurface lithology. Rapid drilling into soils with a lot of clay, which saves time and money. 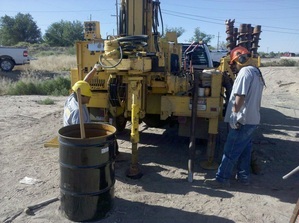 It does not require circulation fluids, which makes site clean-up easier than some other drilling methods. The project requires no casing materials in stable formations. It allows for easy sampling in formations with a semi-consolidated soil. The drilling can go down to 400 feet or more in semi-consolidated soils. Solid stem is not appropriate for all conditions and it has certain disadvantages. It is not efficient in loose, sandy soil, especially at certain depths. It can only bore to a maximum width of 24 inches. It does not do well below the water table due to water infiltration. What Is Hollow Stem Auger Drilling? This kind of drilling is like solid stem, except the Claw Bit is attached to a hollow stem, instead of a solid one. Once the bore hole reaches the desired depth, the hollow stem acts as a temporary casing, keeping the sides of the bore hole from caving in. The drilling crew can take samples through the hollow stem, or use it for setting a groundwater monitoring well into place. It allows for uncontaminated sampling in formations of unconsolidated soils. Rapid drilling into clay-filled soils is easy and cost-effective. Hollow stem auger drilling has disadvantages though. Drilling is not effective when boulders or large cobble stones are encountered. Also, auger refusal can occur when a large consolidated igneous formations are encountered. Its use is limited in loose, sandy soils where water table infiltration can contaminate sampling. Sampling in loose soils requires alternate sampling equipment like split spoon or continuous coring. The depth is limited to 150 feet or less. Which Is Better For My Drilling Project: Hollow Stem Auger or Solid Stem Auger? While Solid Stem Augers and Hollow Stem Auger drilling share some commonalities, they also have significant differences. Each has its own use in environmental drilling projects. The project engineers/consultants will decide which type is best for any project. 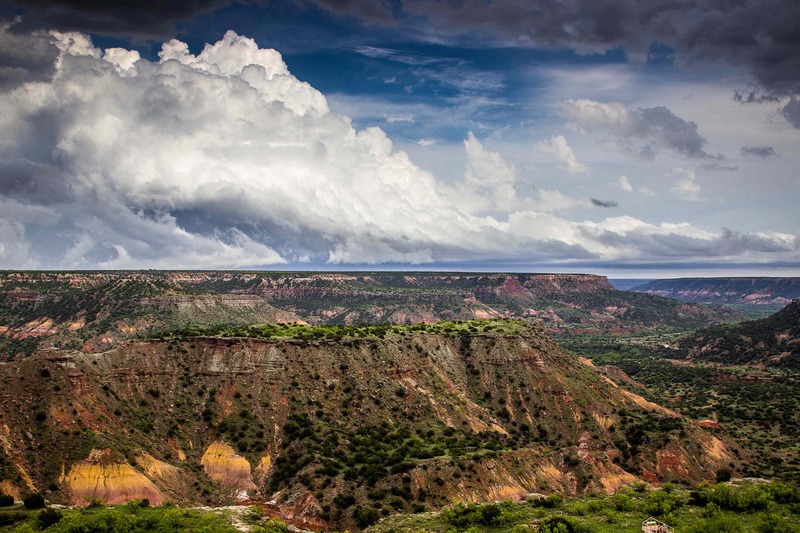 If you need environmental drilling of any sort in Texas, New Mexico, Kansas or Oklahoma, contact Talon/LPE. We have a fleet of drilling equipment that can handle almost any project required in this region, including hollow stem and solid stem drilling, and our team of experts can determine which drilling method is ideal for the site of your project. Contact Talon/LPE today.